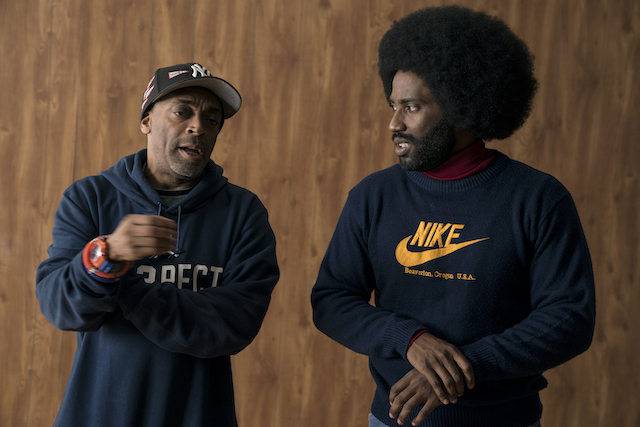 Directed by Spike Lee, the film is based on the book by Ron Stallworth, a black detective with the Colorado Springs Police Department who posed as a member of the organization to infiltrate the Klan. Stallworth, while undercover, managed to setup a meeting with the Klan’s Grand Wizard David Duke, even successfully taking a polaroid shot with the white supremacist. It’s a film which hits theaters on the one-year anniversary of the White Nationalist rally in Charlottesville that claimed the life of counter-protester Heather Heyer. 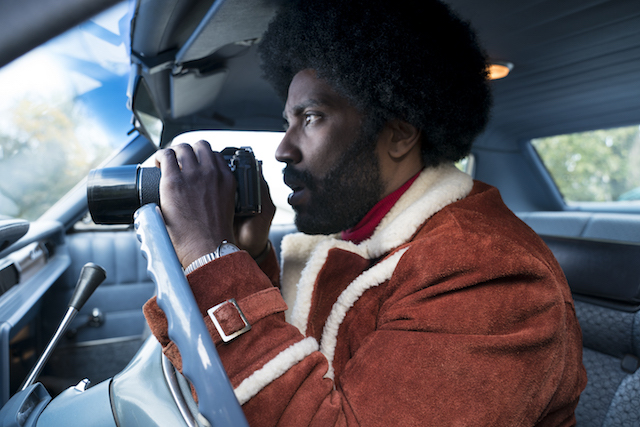 In this screen adaptation, Stallworth is brilliantly portrayed by John David Washington (“Old Man and the Gun”), while Adam Driver plays his white colleague, Flip Zimmerman who impersonates him during physical meetings with the Klan. 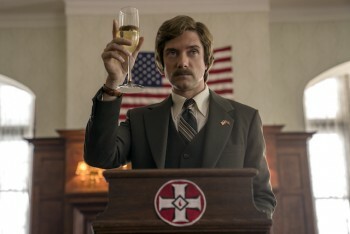 Laura Harrier plays Stallworth’s love interest Patrice, the head of Colorado Black Student Union who meets him when he goes undercover to attend a talk being delivered by Stokely Carmichael (Corey Hawkins) and Topher Grace rounds up the main cast as David Duke.